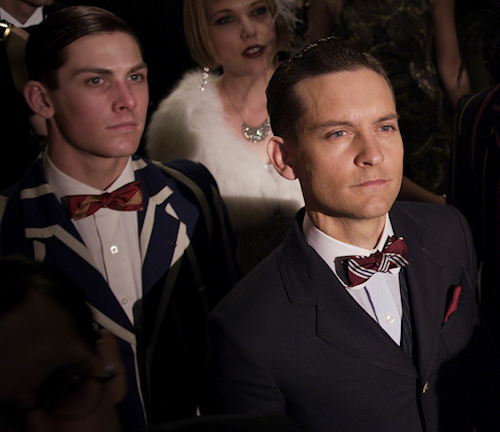 Brooks were chosen as clothiers for the male characters and created more than 500 items of day and evening wear. 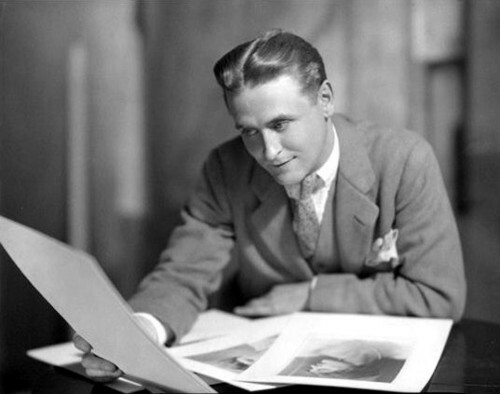 As fans of F. Scott Fitzgerald (above), we're looking forward to seeing the fruits of Brooks Brothers' participation in this adaptation of his most famous novel. They worked with the film's production designer and drew from their archives to do their research on menswear from the Jazz Age. Brooks were an excellent fit for this project, as Fitzgerald was a customer and mentioner of theirs. From what we've seen of the stills from the film, the collaboration and research has paid dividends. The men's clothes look terrific and appear to have the impeccable authenticity we have come to expect after Boardwalk Empire. 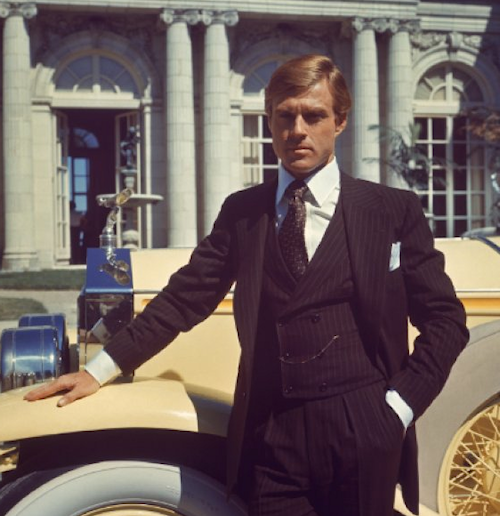 Certainly different to the more wispy and romantic, but still delightful and elegant, 1977 take on 20s attire in the film featuring Robert Redford as Gatsby; much of which was shot in England. Who knows, we might look back and see 21st century signifiers in the clothes of the new film a couple of decades from now. 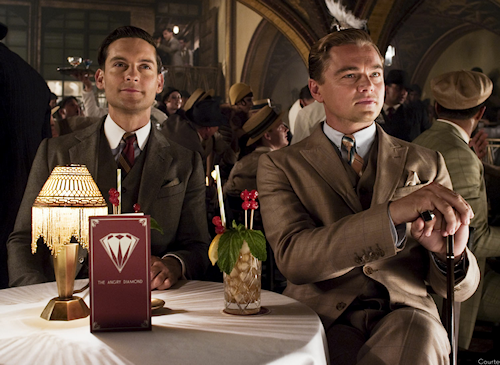 Gatsby is played by Leonardo DiCaprio in the new film. Is it Really Going to be in 3D? Not sure what to make of the film being shown in 3D. I suppose those walking canes and bow ties will really stick out.